Check your local ordinances regarding recreational campfires. Local laws may be more stringent than Ohio law. With more summer nights and cool fall evenings soon to follow, it’s prime time for the good ol’ All-American campfire. And you can be sure many of them will certainly be burning every night from now through winter. Campfires go back to the beginning of time. People of all centuries have loved campfires. In these modern days of tweets and social messaging some even believe that gathering around a campfire in years past, was in fact, one of the first forms of social media. Whatever the case may be, the most important aspect of a campfire or open burning is to remember to be safe and follow all the laws of the State of Ohio and all of your local community ordinances. Unfortunately, sometimes many are not considerate of their neighbors and burn unapproved wood, trash, plastics and debris. That’s a big no no in Ohio. Not only is it illegal but it is inconsiderate of your neighbors due to the foul odors it produces and the dangerous toxins that the burner and their neighbors inhale. If caught or reported, it can result in some hefty fines. Here’s an overview of the dos and don’ts of open burning laws in the state of Ohio. Check your local community’s ordinances also. According to Ohio state law, they must be at least as stringent as Ohio’s laws and can be even stricter, but not weaker. According to the Ohio EPA , under Ohio law, (Ohio Administrative Code 3745.19) the following materials may not be burned anywhere in the state at any time: garbage, any wastes created in the process of handling, preparing, cooking or consuming food, any materials containing rubber, grease and asphalt or anything made from petroleum, such as tires, cars and auto parts, plastics or plastic-coated wire or dead animals. No waste generated off the premises may be burned and burning within village or city limits or restricted areas is prohibited. Additionally, open burning is not allowed when air pollution warnings, alerts or emergencies are in effect. Fires also cannot obscure visibility for roadways, railroad tracks or air fields and fires must be more than 1,000 feet from neighbor’s inhabited building. Some fires require notification to Ohio EPA, or receipt of written permission from Ohio EPA, prior to performing the fire. Additionally, there are some exceptions to the open burning laws but again you must get written permission from the Ohio EPA before burning in these cases. According to the Ohio EPA, open burning can release many kinds of toxic fumes. Leaves and plant materials send aloft millions of spores when they catch fire, causing many people with allergies to have difficulty breathing. Additionally, according to the Ohio Division of Forestry, most of Ohio’s wildfires are the result of careless burning of trash, debris and brush and arson. 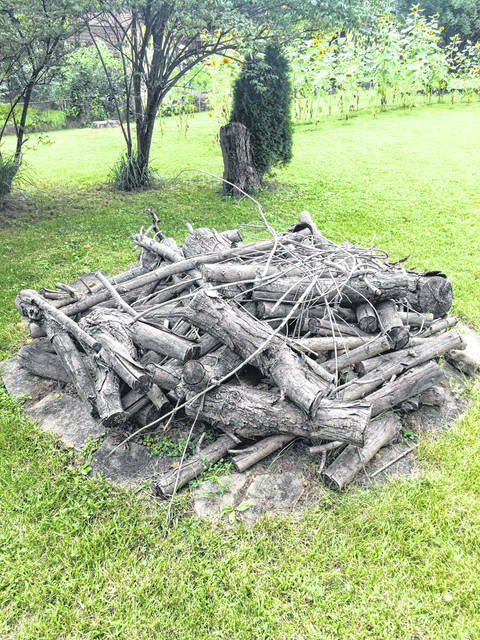 The Ohio EPA defines an open burn as any outdoor fire without a chimney or stack. According to the Ohio EPA, open burning is particularly dangerous in the spring and fall, when the leaves are on the ground, the grass is not green, and the weather is warm, dry and windy. Be very careful on windy days and try not to burn downwind of your neighbors. This may all sound a little confusing and a bit complicated but don’t worry, there are some exceptions (revisions) made for the average campfire and fires used for recreational purposes, though. 1) They are fueled with clean seasoned firewood, natural gas or other clean burning fuel (those with emissions that are equal to or lower than those created from the burning of seasoned firewood). 2) They are not used for waste disposal purposes. 3) They have a total fuel area of no more than three feet in diameter and are no higher than two feet. A ceremonial fire can be no larger than five feet in diameter and five feet high and can burn no longer than three hours. These rules became effective on July 7, 2006. According to the Ohio EPA, one should keep in mind that local ordinances may be more stringent than Ohio EPA’s regulations and may prohibit these kinds of open burning activities in your community. Even if Ohio EPA’s regulations are satisfied, any smoke or emissions that enter a nearby residence’s open window could result in a nuisance complaint through the local authorities. And finally, regarding wood used for campfires, remember when it comes to firewood, all of Ohio is in the federal quarantine zone for emerald ash borer, which means that the movement of hardwood, firewood and wood products is under regulation and prohibited in most, but not all, circumstances in order to protect against the spread of all wood-borne pests. It is recommended to buy local and burn local for all campfires. 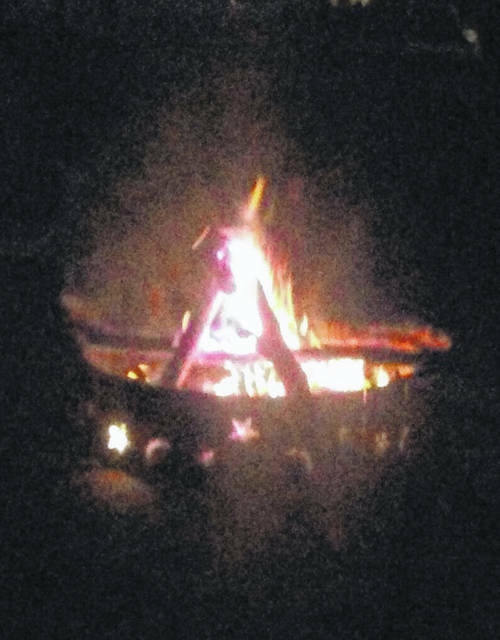 https://www.weeklycurrents.com/wp-content/uploads/sites/13/2018/09/web1_Fire.jpgCheck your local ordinances regarding recreational campfires. Local laws may be more stringent than Ohio law.